The world-famous Maya ruins of Chichen Itza are one of Mexico’s most visited attractions and the archaeological crown jewel of the Yucatan Peninsula. To better appreciate this awe-inspiring historical treasure, it’s essential to understand a few pivotal factors about the Maya culture and how they evolved and thrived in Central America. That they left behind a priceless trove of architectural marvels is undisputed, yet this may turn out to be the only undisputed fact! 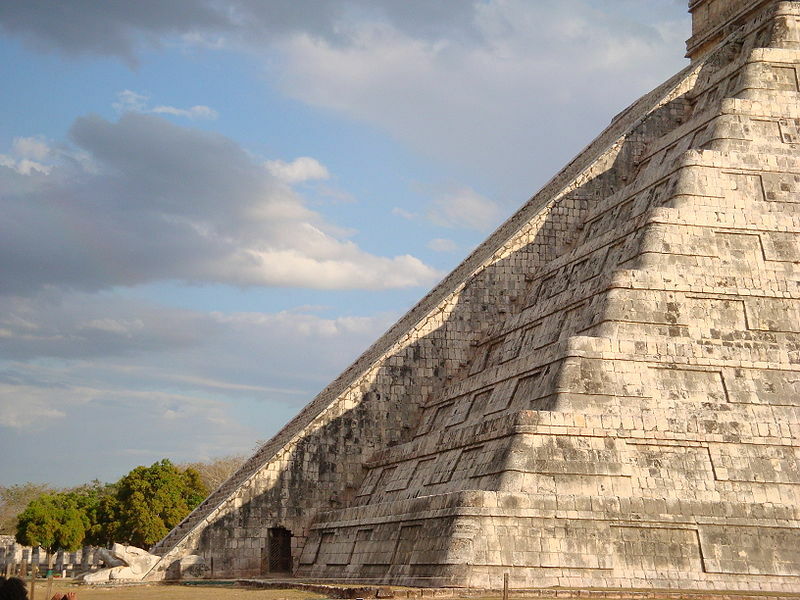 Everything from the order of events to the actual timeline of construction at Chichen Itza is up for debate, and modern radiocarbon dating continues to throw all previous assumptions out the window. Learn all about the Fascinating History of Chichen Itza and discover why this mesmerizing ancient city’s mysteries are as enticing as its most splendid highlights. Chichen Itza. Photo credit: Pixabay. What makes Chichen Itza so special? The grand ball court at Chichen Itza. Photo credit: André Möller. Despite there being a comprehensive array of fantastic Maya ruins throughout this part of Latin America, more tourists head to Chichen Itza than anywhere else. The appeal is certainly no mystery. This UNESCO-listed complex is set amidst spectacular wilderness, less than 150km from Cancun, Mexico’s premier holiday destination. The proximity to the sparkling waters of the Caribbean Sea, its eminent cultural and historical importance, not to mention its awe-inspiring beauty, are what makes this site an absolutely unmissable attraction when on a tour of Mexico. No matter the fame, the crowds, the heat and the humidity, there’s not a person on this planet who remains unmoved at the breath-taking sight of this incredible place. We’d wager a bet that even if you’ve never heard of the Maya, or are not particularly interested in archaeological sites, you’d still be massively impressed by the sky-high pyramids, the colossal temples, the intricately carved columns and the extensive plazas and sports grounds. That’s the kind of magnetism this site exudes. More than just a pile of rubble with an illustrious story, this exceptionally well-preserved city comes across as a living, breathing, thriving centre. 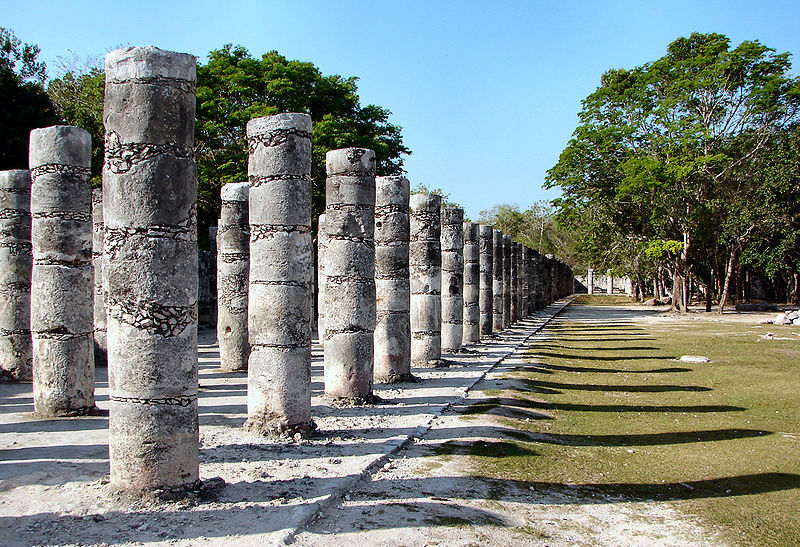 Want to step back in time and experience life during the golden era of the Maya culture? Then visit this outstanding ancient city…and you can. 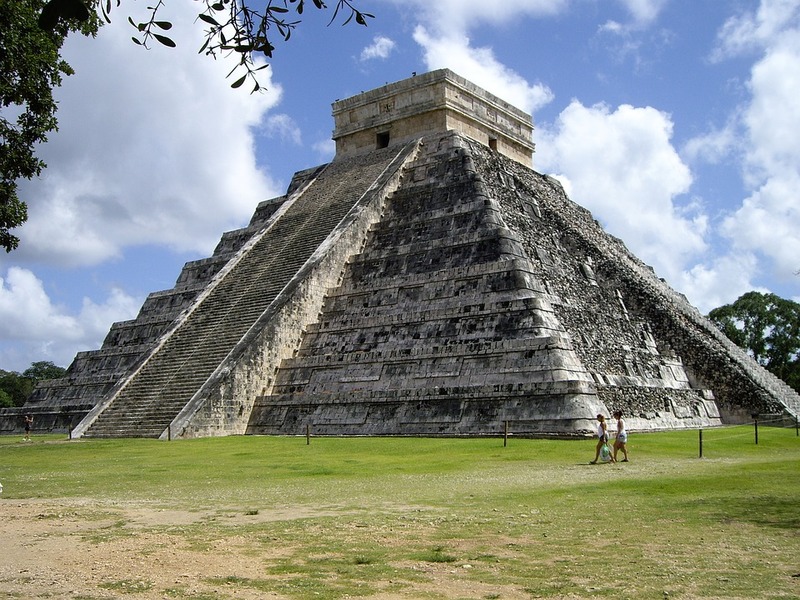 The architects of Chichen Itza: who were the Mayans? The superb architects of Chichen Itza were the Mighty Mayans. Regarded as the most advanced ancient civilization that ever lived in Latin America, and one of the most progressive of its time anywhere in the world, the Maya are celebrated for their phenomenal architecture and elaborate hieroglyphs, as well as their extraordinary mathematical and astrological advances. 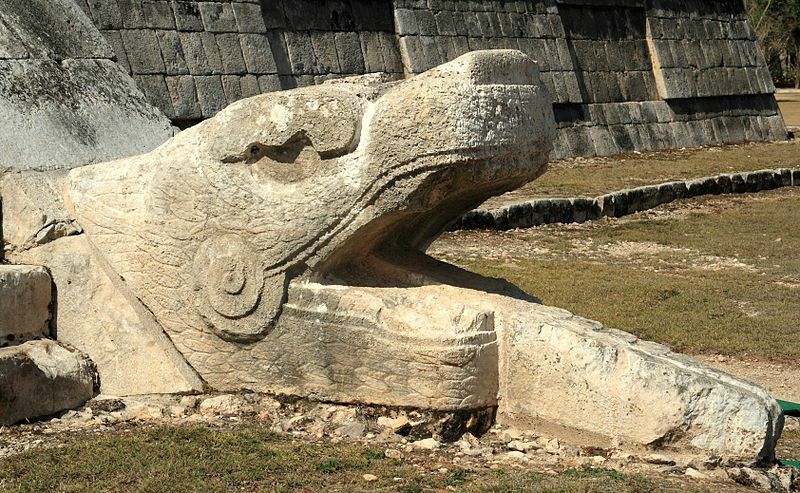 Serpent head at the base of the Castillo. Photo credit: Frank Kolvachek. 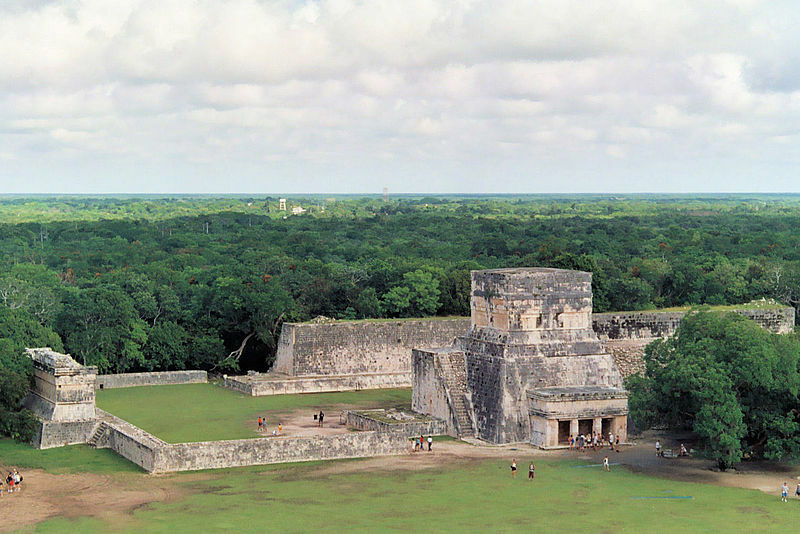 Contrary to what many believe, however, the Maya civilization was never an ‘empire’ as such. Instead of one amalgamous power, the Maya comprised a collection of diverse ethnic lineage groups, each with its own language, king and capital city. Although one could argue that the lack of collectiveness spearheaded their demise (who needs a foreign enemy when you can fight amongst yourselves?) it also means that nowadays the world is left with a myriad of splendid ancient cities to explore. Chichen Itza is only one of an array of impressive ruins the Mayans left behind, yet it is uniquely superior in quite a few ways. Its main pyramid, known as the Castillo, is built as a kind of three-dimensional observatory meant to reflect astronomical events. Visit during the equinox and you’ll observe the shadow of a serpent snaking its way up the stairs. The equinox effect at Chichen Itza. Photo credit: ATSZ56. All of Chichen Itza displays tremendous accurate detailing in its construction, almost mind-boggling considering the date. Moreover, having been influenced by various other Maya groups, Chichen Itza displays a kaleidoscope of architectural designs which are not found in other Maya ruins in Central America. When was Chichen Itza built? Chichen Itza, as a prominent Maya city, rose from the dust over a period of a thousand years. A humble settlement existed on the site in the first millennia BCE, yet with the arrival of merchant seafaring warriors from the northern coastal area, Chichen Itza’s size boomed. As the population and its prominence grew, more elaborate and grandiose portions of the city were built. This was actually one of the last major capitals to be abandoned by the Maya people and Chichen Itza reached its golden era (a time of most prolific construction) between 600 and 800 CE, at a time when some of the cities in the southern regions had already entered their final decline. During this period, this was a major political, social and spiritual centre, as well as a prosperous trading hub. Columns at the Temple of a Thousand Warriors. Photo credit: Uspn. The Toltecs allegedly conquered Chichen Itza in the 10th century CE and constructed what is now regarded as the ‘new section’ of the city. Much of the timeline of Chichen Itza’s construction is a hotly debated issue, some even call it “the most heated debate in Mesoamerican archaeology”. Traditionally, Chichen Itza is divided into two distinct building periods (800-1000 CE and 1000-1200 CE) but you’ll still find plenty of archaeologists who would debate this too. Assumptions are mostly made based on the architectural characteristics of certain buildings, with recognizable early Maya hieroglyphic carvings denoting earlier construction, and mystical warrior and animal carvings pointing to the later influence of the Toltec civilization. In fact, the only real proof of Toltec presence at Chichen Itza are their trademark architectural features for which they are renowned. Considering the Spaniards burnt all written literature upon their arrival to this part of the world, architectural treasures still left standing are the only material on which to build any reasonable history. 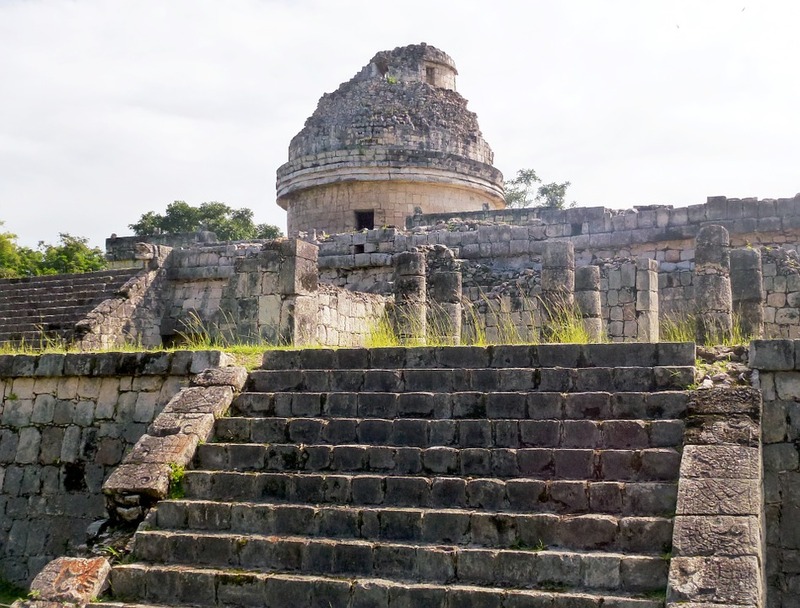 The planetarium ‘El Caracol’ at Chichen Itza. Photo credit: Pixabay. 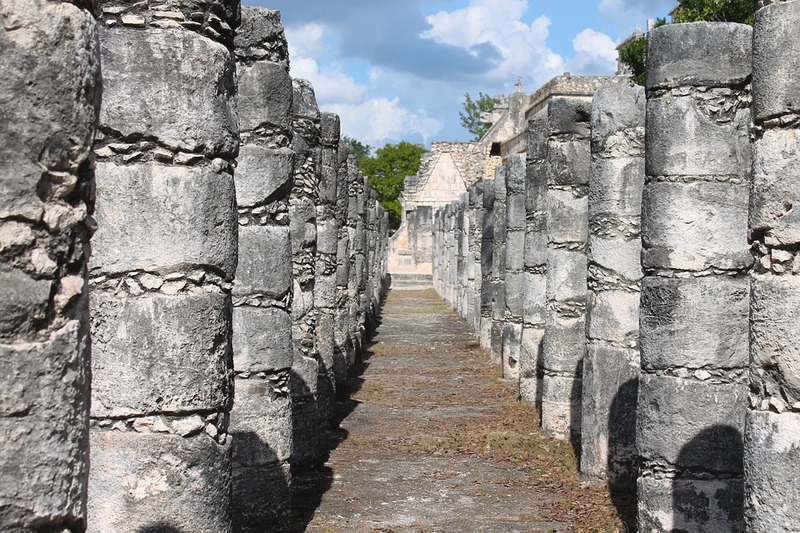 When was Chichen Itza abandoned…and why? What is known with a healthy degree of certainty, is that Chichen Itza was conquered by the Mayapan, yet another Maya culture which was prevalent in southern Yucatan. The timing of their arrival at the site is still up for debate. For years, this was believed to have happened at the end of the 13th century, yet recent studies revealed that this may have actually occurred in the 10th century. Yes…throwing all other timelines completely out of whack! The Mayapan was the next Maya lineage to rise in the Yucatan Peninsula and they were the ones who eventually faced Spanish conquistadores when they arrived in this northern region in the 16th century. Temple of the Warriors at Chichen Itza. Photo credit: Keith Pomakis. When was Chichen Itza rediscovered? Excavation and restoration work at Chichen Itza has been an ongoing venture for the great part of the last century, so it is highly likely that the history of Chichen Itza may well be rewritten in years to come. 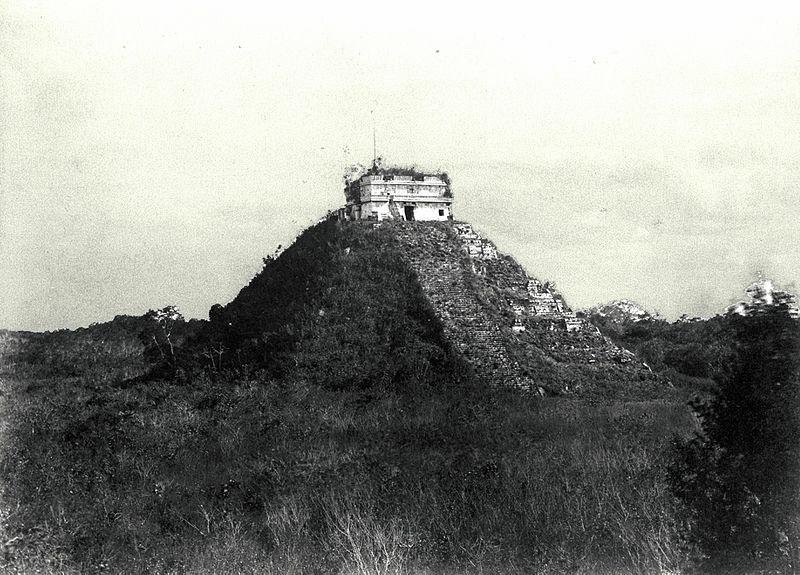 Photo of the Castillo taken in 1892. Photo credit: Collection of Negatives and Prints, 1895-1908: Peabody Museum Archives, Harvard University. What’s the best way to visit Chichen Itza? Any tour of the Yucatan Peninsula can easily include a visit to magical Chichen Itza, and a day trip from Cancun or Merida is also a very popular option if you plan to spend a few days soaking up the rays. Want to spend a few days exploring this extensive complex independently? 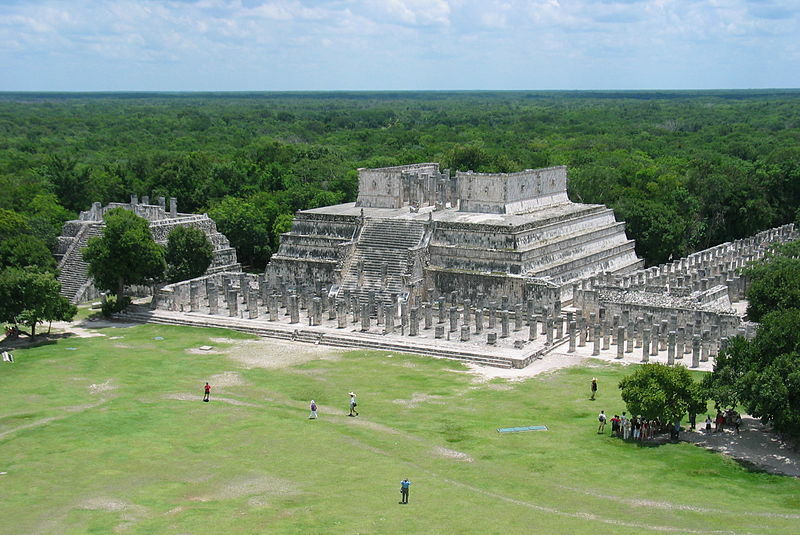 Then join us on a trip to mexico and explore the rich history of the Chichen Itza yourself.